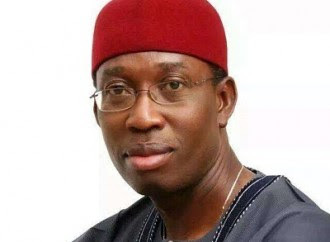 The Delta State Government has concluded plans to ban long trucks on its highways and make sure the menace of the trailer drivers and their trucks are curbed. This may not be unconnected with the emerging menace of trailers being parked on the highway by the Asaba International Airport and the more than 14,000 teachers on the payroll of the state Post Primary Education Board (PPEB). Briefing the press after the executive council meeting in Asaba, the commissioners for Information, Works and Basic and Secondary Education, Patrick Ukah, James Augoye and Chiedu Ebie, said the situation was unacceptable and measures have been put in place to check the trend. “We are going to embark on massive construction of roads, we are just waiting for the rain to stop,” they assured. To curb the effect of the impending flood, the meeting set up a high-powered committee with the Deputy Governor, Kingsley Otuaro, as chairman. According to the Commissioners, Governor Ifeanyi Okowa’s administration was not leaving any stone unturned to safeguard the lives and property of Deltans, and the committee would ensure that appropriate measures would be applied to educate and protect the people. “Despite the financial situation of the economy, exco looked at the need to ensure that our children get the best in education; so the new schools will reduce the crowding witnessed in some of the schools and we are doing it with little or no cost because we are using existing structures,” he said. Car Care: How To Change A Punctured Car Wheel.